I know it's summer but I can never turn my brain "off"! It seems like I'm always planning or at least thinking about school-related stuff. I have been doing some things just for ME this summer though. 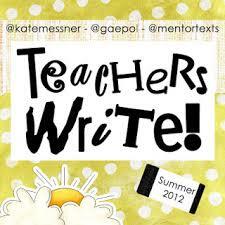 One thing I'm participating in is Teachers Write - sort of a summer writing camp for teachers. Here's the thing. As far back as I can remember, I loved to read and as far back as I can remember I loved to write as well. In my now world, I still read a lot, but writing? Not so much. I've always dreamed of writing a novel and have bits and pieces of assorted stuff lying around. This summer though, I've actually been writing. I have an idea for a story and I'm having fun "playing" around with it. 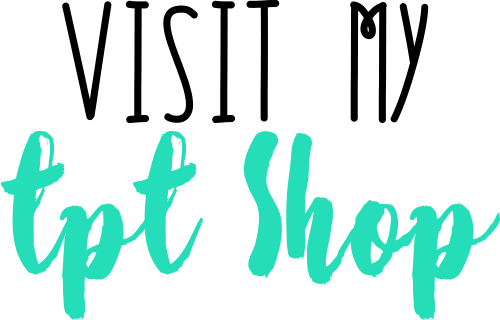 The mentors, Kate Messner, Gae Polisner, and other assorted amazing visiting authors, have been soooooo supportive and helpful. I've actually shared some of my writing and received helpful and encouraging feedback. Most importantly, I feel good enough about my writing to keep on writing. That's huge. I may never finish my "novel" but you never know! You should check it out. As a teacher though, I've come to realize how difficult the writing process actually can be and how important it is to feel good about what you're creating in order to keep at it. I'm definitely going to be using my experience with Teachers Write to improve my writing instruction!